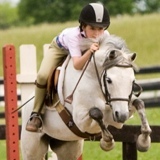 Cavallo Farm - Horseback riding lessons in Leesburg Virginia. 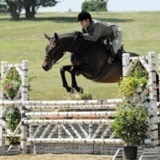 Our trainer, Michael Bertozzi, provides riding lessons in hunter, jumper and equitation. Beginners or experienced riders. 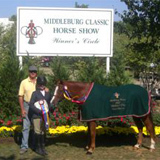 Learn how to ride and show your horse or one of ours. Michael and Marie Bertozzi invite you to learn more about Cavallo Farm, a boarding barn specializing in hunter/jumper training. Located five minutes from the Brambleton Town Center and only minutes from the Dulles Toll Road and Route 50, we're practically in your backyard. Dedicated to excellence, horsemanship and fun.